Have you ever had one of those days? You know the kind I’m talking about. Where you’re literally scrambling from the minute one of your kids wakes you up in the morning — until the time you fall in bed that night. You know you’ve worked hard and taken care of needs nonstop throughout the entire day, but it seems like there is very little to show for it. Well, I am excited to introduce you to a course that will liberate you from that hamster wheel of exhaustion.. 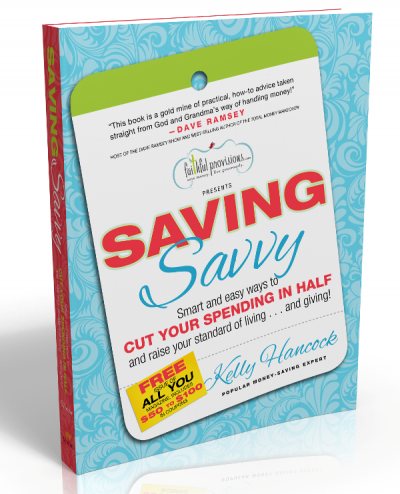 Crystal Paine of MoneySavingMom.com has created the Make Over Your Mornings course to help you revolutionize your productivity, streamline your days, eliminate decision fatigue, cultivate your soul, and MORE! 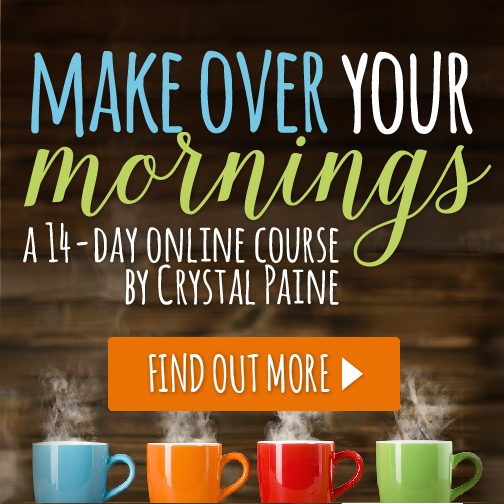 Crystal has created this AMAZING 14-day course that takes a unique three-fold approach: a chapter to read, a video to watch, and a project to complete – all of which will take no more than 15 minutes of your time. We all have time for that! 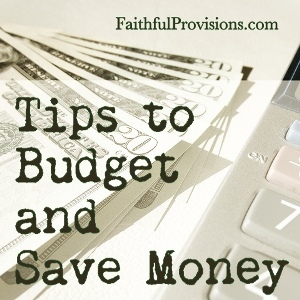 A tiny investment — just 15 minutes of your day – can yield potentially amazing results for yourself and your family. 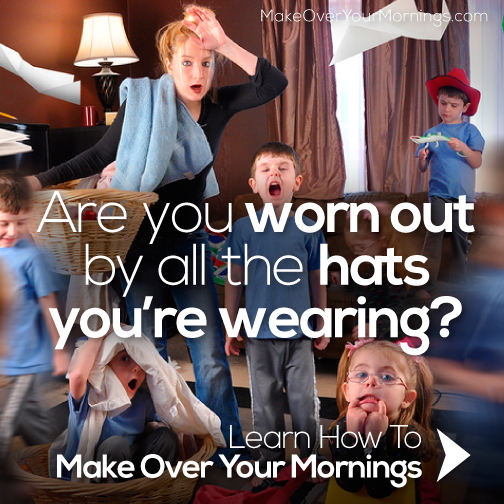 Head on over to MakeOverYourMornings.com and get in on the rock-bottom price for this fabulous course today!